and community of the heart. No experience is necessary. We are not a performing chorus. We sing for the joy of being alive in the music together. Please visit the Songs for Our Journey song blog for lots of songs to sing! Order CD's here. 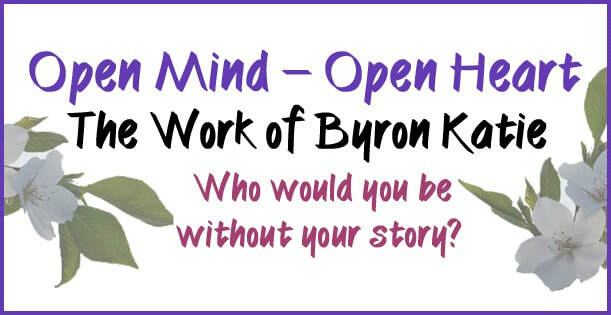 Information about The Work of Byron Katie is here. which will happen once in a while. Indoor Human To Human workshops and retreats also happen from time to time. environmental and economic justice please let me know! in deep listening with our ears, our bodies and our hearts. and expression of the truth of our One Heart. ​profound human questions: "Who would I be without my story?" automatically open. It's a very sweet way to live. or in person in my living room in Hillsborough, NC. I love the Work, and I would love to do the Work with you! More information about working with Kathleen here. Justice Sings are friends of all genders who bring singing to the streets in support of environmental, economic and social justice. We invite you to walk and sing with us! If you'd like to be on the email list for future events, please drop me a note and I'll let you know whether we're carpooling or riding a bus together and where to meet up. 3.24.18 We sang with people at the Durham March For Our Lives Rally while young people all around the country changed the world. 4.22.17 Three of us walked and sang with the March for Science in Raleigh. 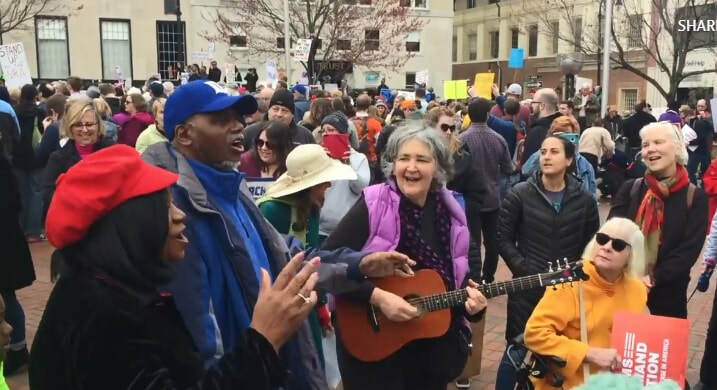 We were joined in singing with lots of different people along the way and I felt energized and empowered to see so many people out standing up for science and scientists. Here are Marilyn Grubbs and I that day! 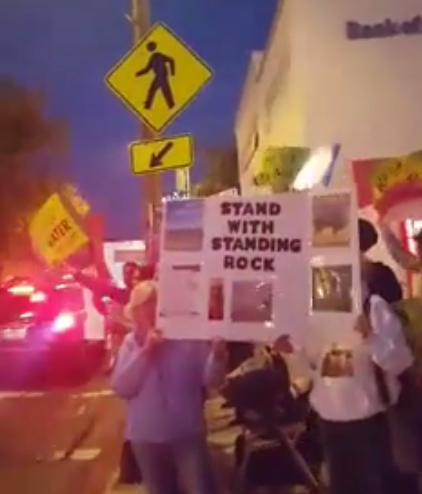 ​In the fall of 2017 we made up a song at a rally in support of the Standing Rock Sioux and their allies. It's called Wni Wiconi, which means Water is Life in the Lakota Sioux language. I recorded the song later with chorus friends, and made a slide show with photos of the brave people at Standing Rock. Click here to see the video. (Please feel free to sing Wni Wiconi anywhere you go.) Although oil is now flowing in the Dakota Access Pipeline, the fight for tribal sovereignty is strong, and has moved into the courts. You can read about that and find out how you can help on the Lakota People's Law Project website. I'm excited to have this space to share some songs that I love to sing as I'm walking along. some are recordings of the Chorus singing the songs for the first time, some are tracks from my album. ​I'm hoping you might like to sing some of them on your travels too! are tools for Self discovery that I love sharing with people in individual sessions and in groups. Read about the possibilities here. and loving every bit of it. It sounds so good! I can hear all of the singers, your voice is front and center, every instrument is clear and well-balanced.......you and the engineer did an amazing job with the mixing/mastering. ​and into the obsidian mystery. Thank you a gazillion times for the gift of it! "Your music is a wonder. Dang, it's soul food! Thank you!" "I love Kathleen's music, because there's so much space in it. People can live in that space." and I have to keep pulling over to the side of the road as I weep. ​Thank you so much for your beautiful music!" 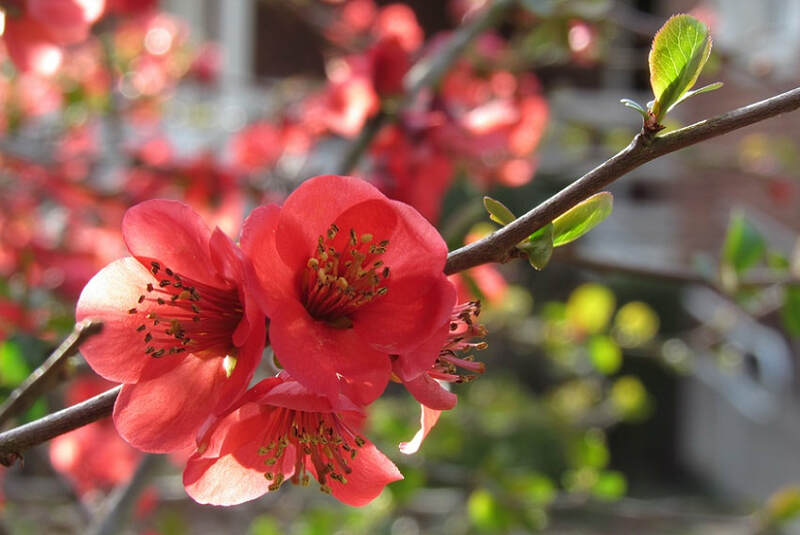 "I have been singing Izumi Shikibu's poem "No Part Left Out" all day. Kathleen, I love your heart, your voice--our heart, our voice." 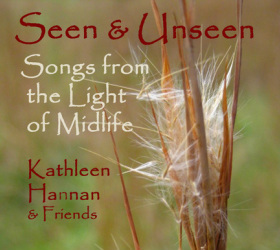 The Seen & Unseen CD release concert at Motorco in Durham was a night shimmering with Love which I will always remember. We were a full house of 16 people on the stage and 220 people in the room. The sound of all those beautiful humans singing together was so moving...we felt the reverberations of the music down in every cell of our being. As Sharon Blessum wrote, "One Heart singing in 200 voices." Thanks to everyone who was there in person, and thanks to those of you who were with us in spirit. I have heard from lots of folks that they are singing the songs along with the CD as they travel down the road and in their homes. My heart is very happy knowing that these songs are living with you. ​collectively rocked the rafters with Love. I feel like the luckiest person in the world, and I am deeply grateful to each of you who helped made this happen. and singers in the studio sessions. These songs are about Love in the largest sense. and supported these songs and this project in hundreds of ways. What a miracle that collectively we are that ever-flowing water! Thanks to all of us, the world has 17 more Love songs to sing! asking my heart direct questions about my deepest fears. is inside me, and inside of everyone and everything. as music - songs about Love in the largest sense. as we've sung them together over the years. to rehearse and record this album. & rocking babies to sleep. Being in the Music with you is pure joy in my life. Photo of Kathleen & Marilyn at the Science March is by Dorothy Tom. ​Group photo of musicians by Ron Moss. Photo of dancers is by Val Moura. Photo of Kathleen is by Amy Kellum.